This semester we will learn to safely administer electroacupuncture in our practical class, Materials and Methods of Acupuncture. 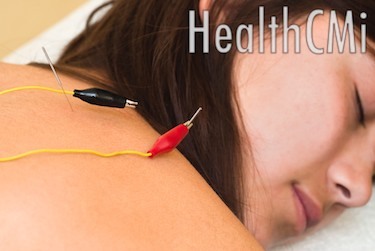 I have been treated with electroacupuncture in the teaching clinic several times with great results. 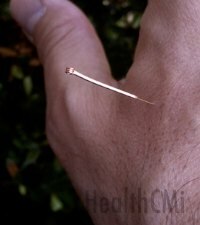 It is not painful and it is very effective for relaxing muscles and strongly stimulating acupuncture points. This article covers a study that found electroacupuncture more effective than drug therapy for the treatment of neck disc herniations. So if you or someone you know has a herniated or partially herniated disk you should print this article and bring it to an acupuncturist. 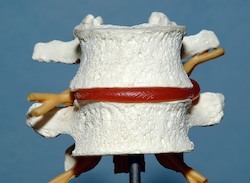 Electroacupuncture was found to successfully stop pain, numbness and weakness due to disc damage. 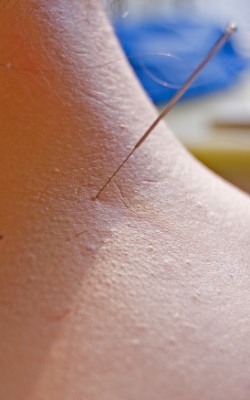 Acupuncture may be applied to the neck directly. Wu, Yao-chi, Jun-feng Zhang, Yi-jun Sun, Cheng-fei Huang, Ping Shao, and Gui-zhen Liu. “Clinical study on electroacupuncture for cervical intervertebral disc herniation.” Journal of Acupuncture and Tuina Science 11, no. 6 (2013): 371-374. Acupuncture Found Superior To Drug for Neck Disc Pain  | Acupuncture Continuing Education News | Acupuncture News.